The Siding, Roofing & Window Experts! 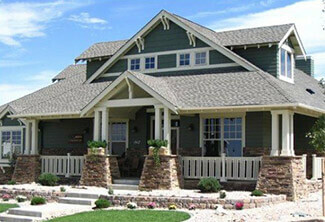 Carmody Construction is a family owned and operated home remodeling Oswego contractor. We have been completing construction jobs in Naperville, Oswego, Plainfield, and the surrounding Fox Valley area for over 70 years, and we take pride in being company you can trust. Whether you need WINDOWS, SIDING, ROOFING, or are looking to REMODEL your KITCHEN and BATHROOM, we’ll make sure your ideas come to life. For a free inspection, call us today! We offer the best energy efficient windows, professional installation methods, and more colors and custom options than anyone else. Enhance the value of your home and improve curb appeal with our maintenance-free top quality siding installation. We provide excellent roofing solutions, installation, materials, and warranties to protect your family from the elements. Have a remodeling project you need completed? We are known for our custom room additions, high-end kitchens, and luxurious master baths. We absolutely love the windows and siding. Tim and the crew were awesome to work with — friendly, professional and very conscientious of their work.